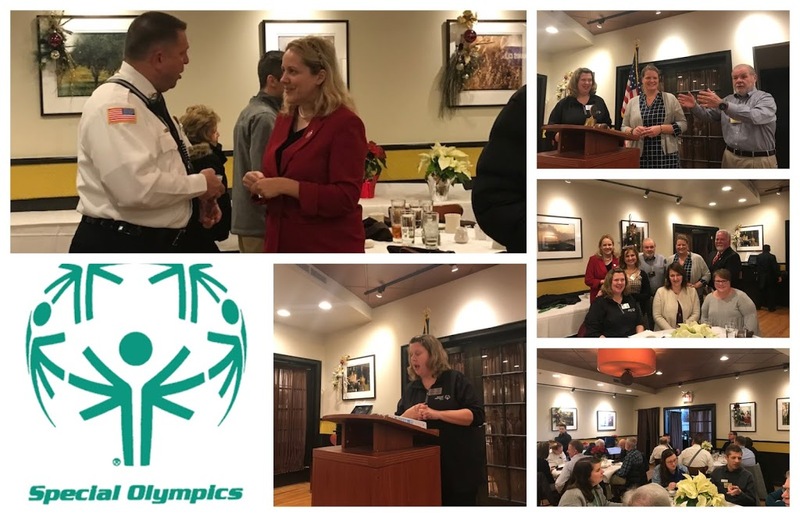 Rep. Mazzochi joined Special Olympics Messenger Erin Mannix, Asst. Director Amanda Nelson, Kiwanis President Sarah Burnside, Kiwinis member Heather Stalker, Region C Director Katie Grisham, Kiwanis Lt Gov. Tom Willis, and several other stakeholders for a luncheon benefiting the Special Olympics on December 11.